The Assassin’s Creed Odyssey’s cinematic trailer has just been released, ahead of the game’s official reveal at E3. The trailer focuses on a new character, a Spartan cast out by his family as a child, who then has to fight to earn his spot back in a society defined by honor. 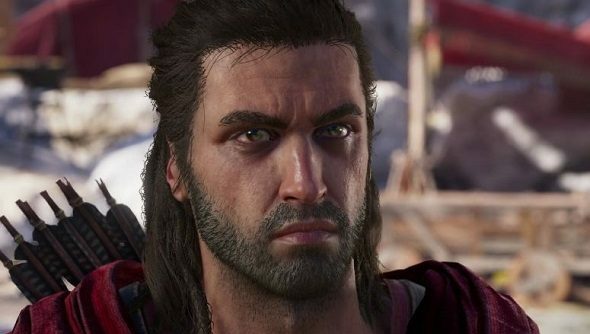 However, you can choose between two characters – Alexios is the male player-character, while Kassandra will be the female character. Either way, you’re the child of Leonidas (who you may remember from Gerard Butler’s showing in 300). As it becomes more apparent that Ubisoft are heading towards role playing games, why not check out our list of the best RPGs? The game will be set during the Pelopponesian War between Sparta and Athens, and will feature Socrates as an NPC. What’s odd, however, is that there’s very little mention of the Assassins themselves. Given that this game is set 350 years before the events of Assassin’s Creed Origins, which was supposed to document the founding of the Assassin order, that’s not too surprising, although it is odd that the titular contract killers wouldn’t actually show up in their own game. That said, Templars weren’t technically in Assassin’s Creed Origins; they were replaced by masked baddies insted, so we could see some sort of proto-Assassins and Templars in Assassin’s Creed Odysset – we did see some more masked baddies, after all. The Assassin’s Creed Odyssey release date is October 5, 2018, meaning it won’t actually be too long until you get to discover whether or not the Assassins will actually show up.